Booking an appointment is as easy as clicking the direct link. 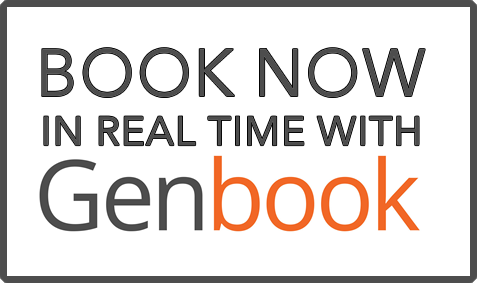 This allows you to schedule your session 24-hours a day by taking you to our online appointment service, GenBook Appointments. Please be sure to confirm your appointment before closing out of GenBook Appointments. You will then receive a confirmation email so be sure to check. If you don’t see it, check your junk email. If you have trouble making the office hours fit your schedule just give us a call and we can find a time that works for us both. We are located at 308 Evergreen Road, Lower Level, near the corner of Evergreen and Shelbyville Roads in Middletown. Our office has direct access from the parking lot and is wheelchair accessible. In the event you have to cancel an appointment, please allow at least a 12-hour notice. This will enable someone else to take your slot. If you can’t provide 12 hours, please note that you may be charged for your session. If you fail to show up for your appointment, you will not be allowed to book another session online until you speak with your therapist directly.